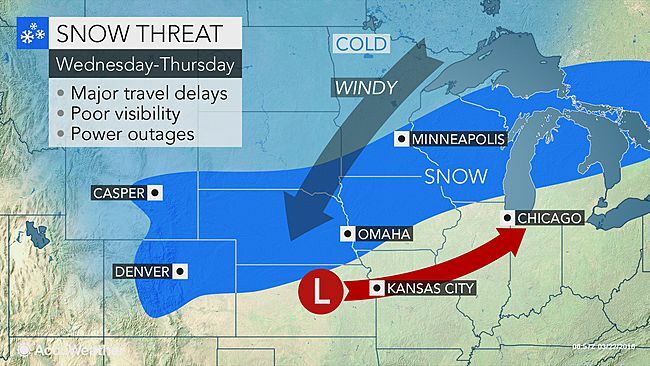 A storm will spread a swath of snow from Colorado to Michigan with the potential for blizzard conditions in part of the north-central United States this week. As a storm pushes east of the Rockies, it will strengthen, gathering wind and moisture by the middle of the week. Like many strong March storms, this system will be multifaceted. Severe thunderstorms and heavy rain will develop in the storm’s warm sector, while snow falls in the colder air.